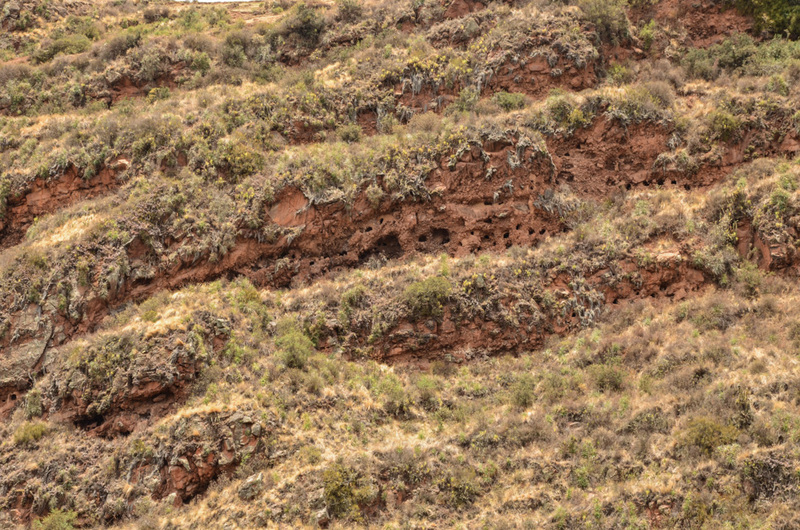 Last year in November it was two years since we traveled to Peru but I am still finishing some related posts and today I share with you our day trip from Cuzco which took us to Písac, Urubamba, Ollantaytambo and Chinchinero. Although there are many companies offering tours in the town, we arrange a tour with a friend of the friendly guy at the reception of our B&B. A small van picked us up in the morning and we joined a group of 8 other people and a guide and headed to our first stop. 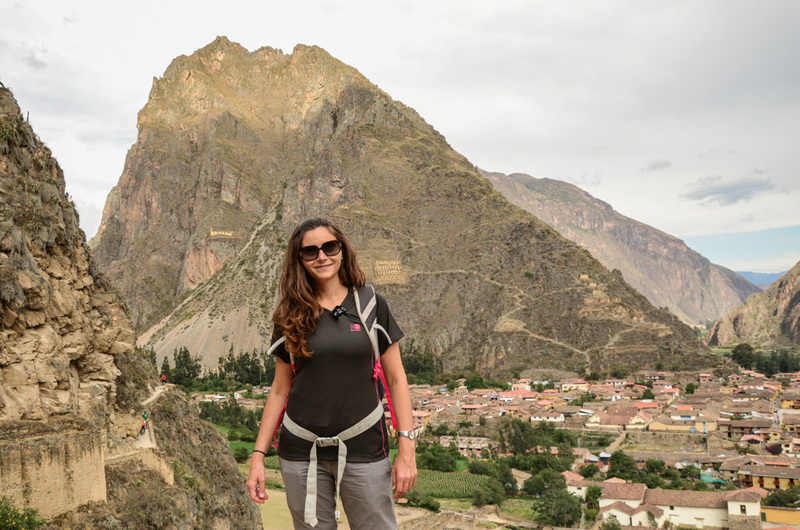 Come and join me on this virtual trip to the Sacred Valley in Peru! 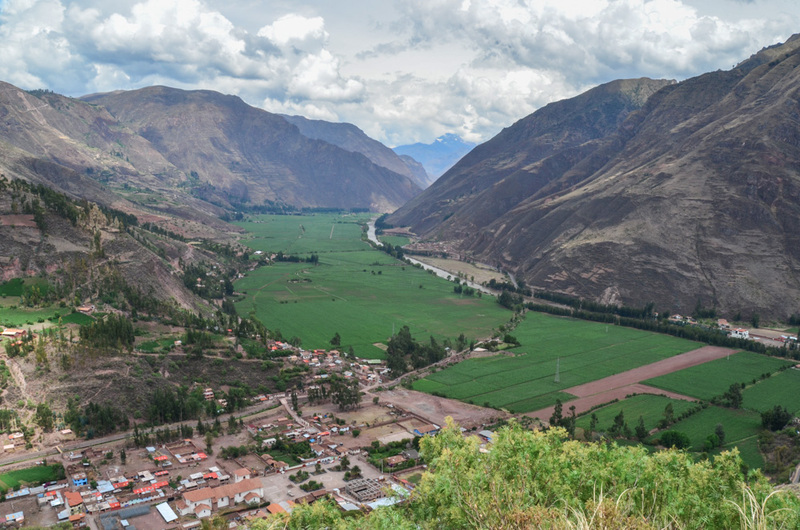 The Sacred Valley of the Incas (Valle Sagrado in Spanish) is a fertile strip of land around the Urubamba River, somewhere between Cusco and Machu Picchu. 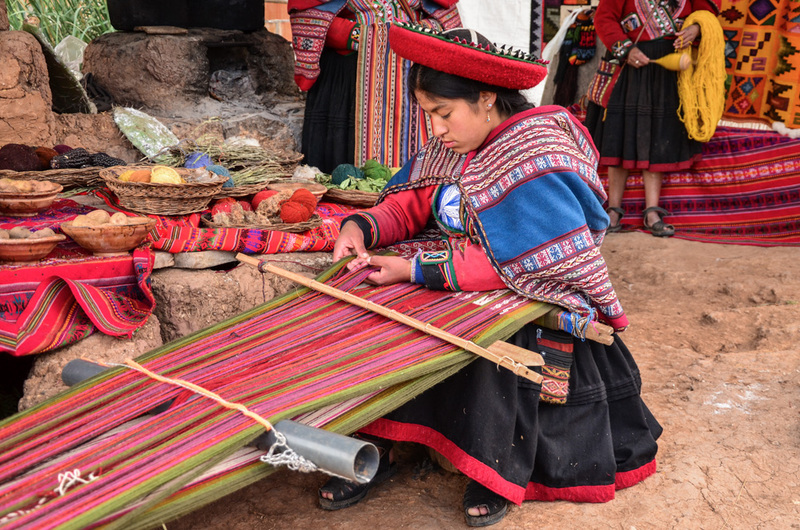 Local inhabitants still live the traditional way of life here – they speak Quechua (the language of the Incas), grow their own corn and quinoa, breed llamas and make the typical colorful textile the way their ancestors did. 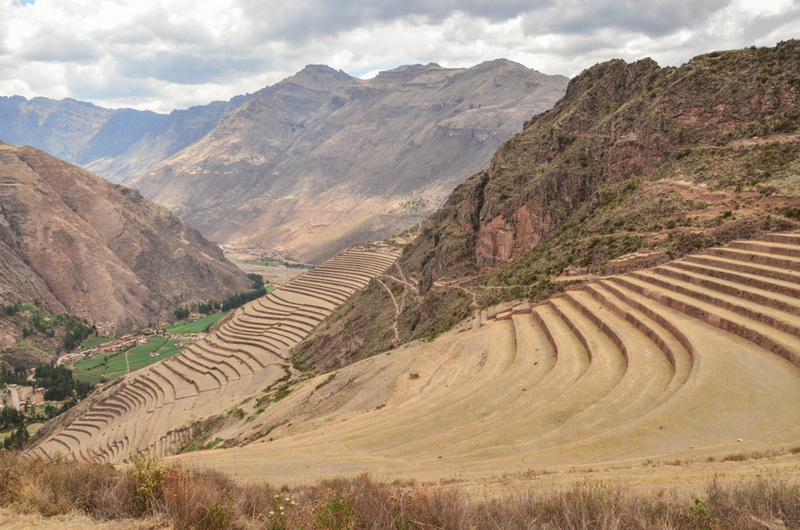 But there is yet another reason why the Sacred Valley attracts visitors. 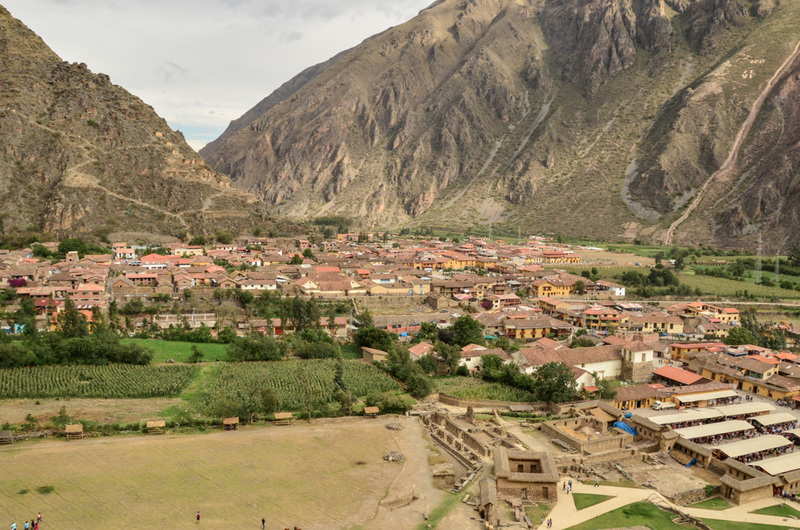 There are still some Inca ruins in some of these villages, mainly in Písac, Moray, Ollantaytambo, and Chinchinero. 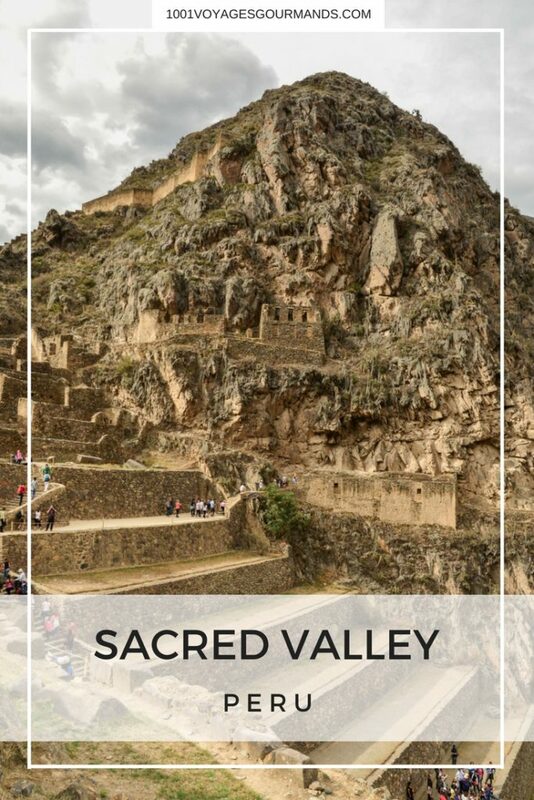 In this post, you can virtually join me on a trip to the Sacred Valley! 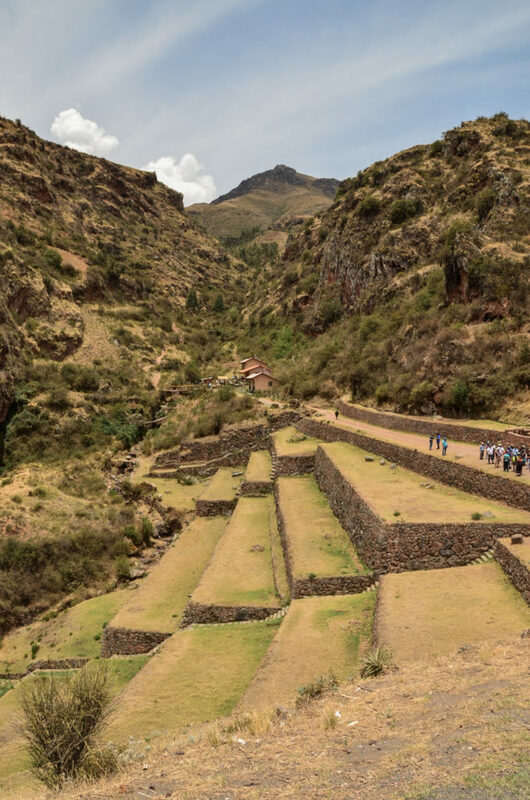 Our first stop was in Písac, located approximately 33 km from Cusco. 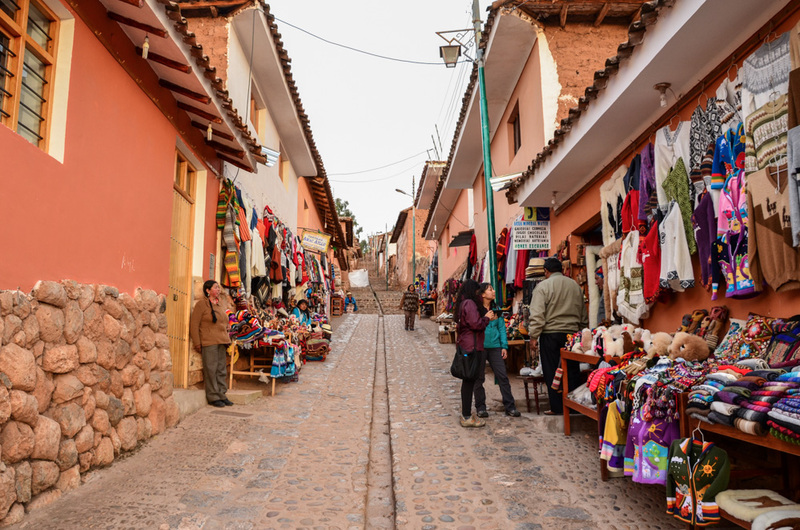 In the center of the village, there is a bustling market officially held on Tuesday, Thursday and Sunday. 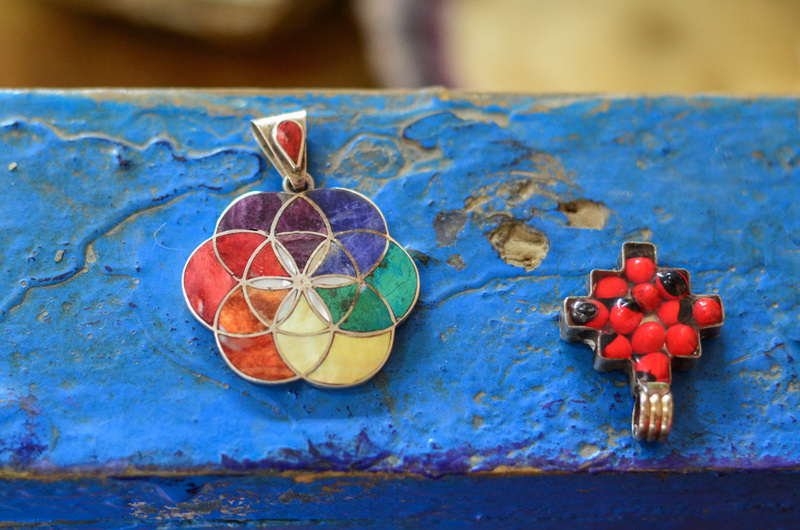 We didn’t catch it, but we stopped at least in a small boutique in the village which sold handmade jewelry made of beautiful colorful stones! 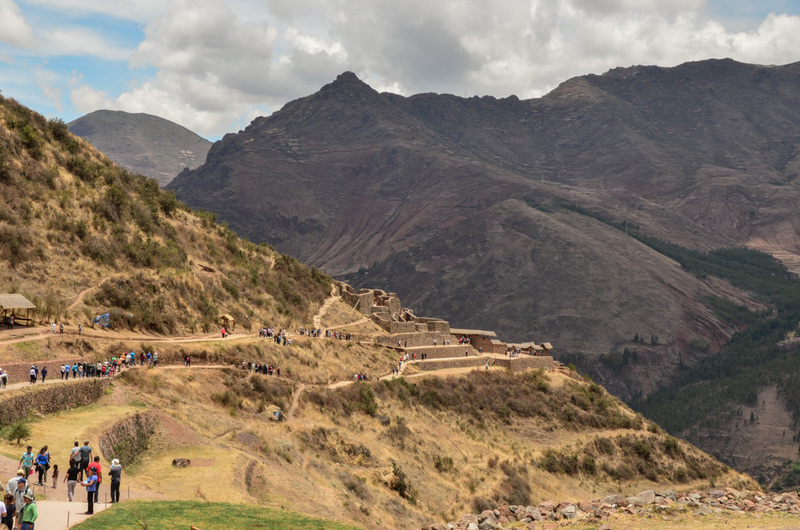 The splendid Inca citadel lies high above the village and normally it takes you some time to get up but the minibus took us up and left us at the entry to the site. 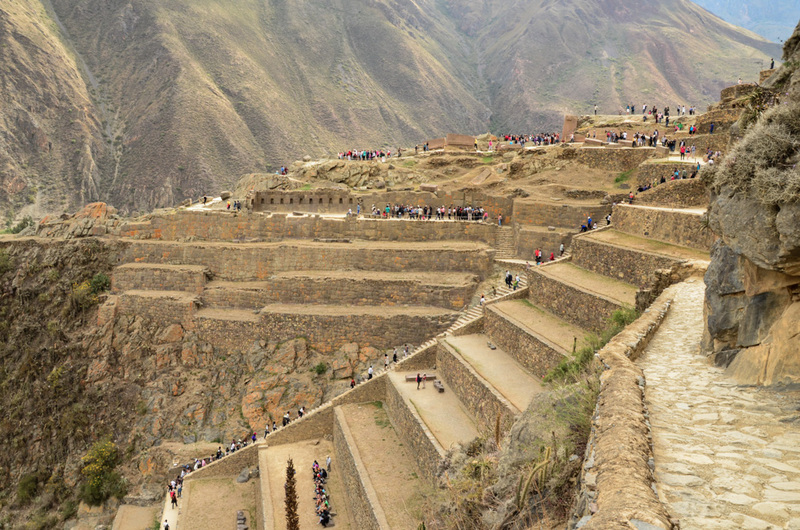 We walked the footpath above the amazing agricultural terraces that copy the mountain slope, which lead us to the ceremonial center. 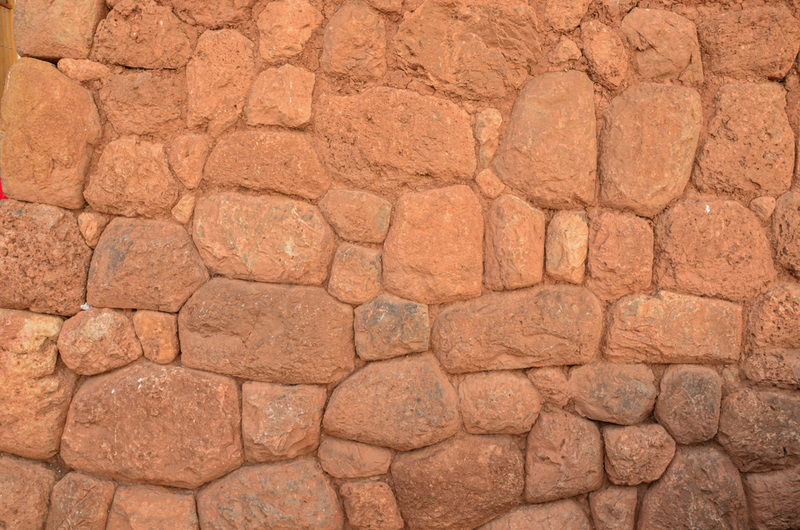 In the opposite hill, I noticed numerous holes in the stones – these used to serve as tombs according to our guide, but are not accessible nowadays. Quite impressive! 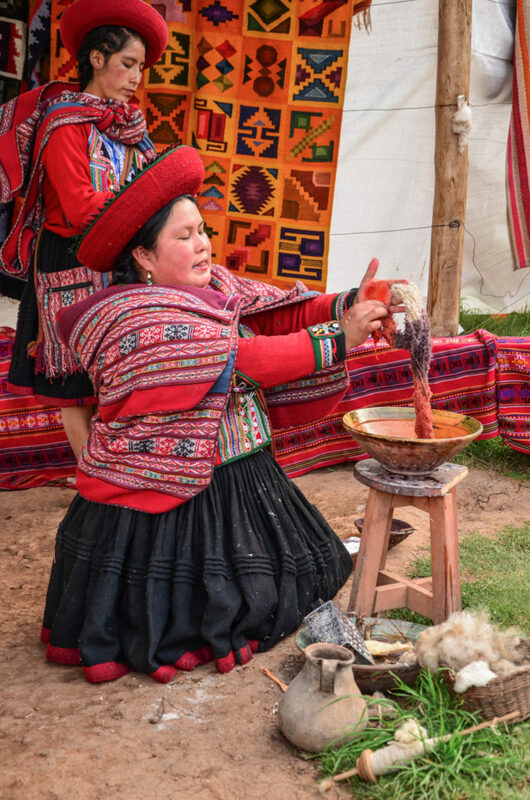 There is a little of historical interest in Urubamba and is rather the center of local gastronomy. 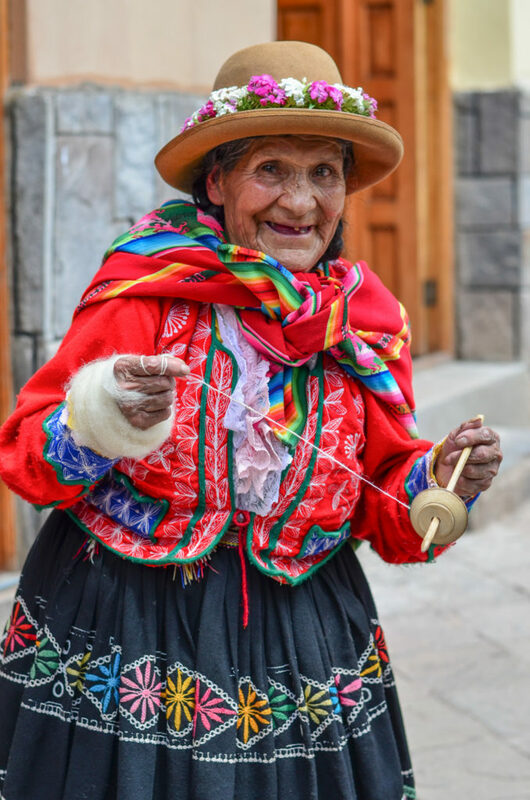 And so my memories from Urubamba are mainly related to food. 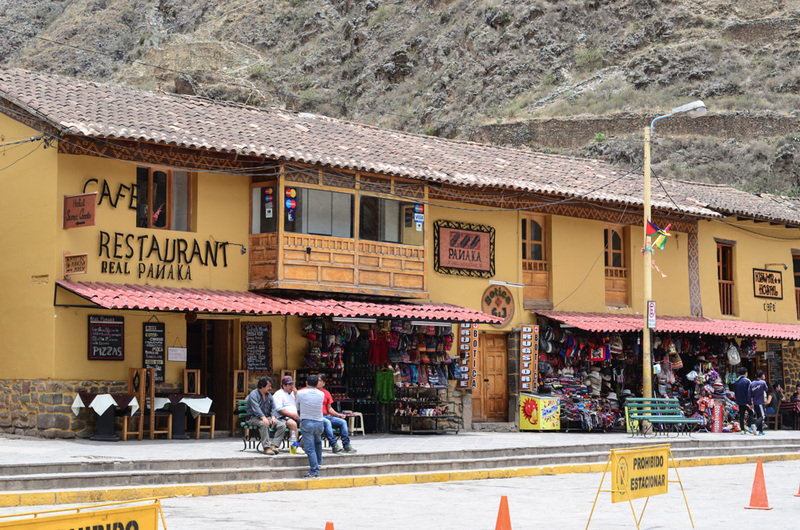 Apparently, there are many restaurants including the so-called ‘cuyería’ which are places to eat the typical Peruvian dish – cuy – which means guinea pig. You can see many of these places with a grill and guinea pigs on a stick next to the road. You don’t want to see this being a vegetarian, right? We stopped here for lunch in some restaurant which name I will not tell you as I don’t remember it. I remember that it was a buffet with some good choice. So we had chicha morada (the typical drink made of the black corn, quite sweet though) and some good potatoes with fresh salad, grilled veggies, and fried bananas. 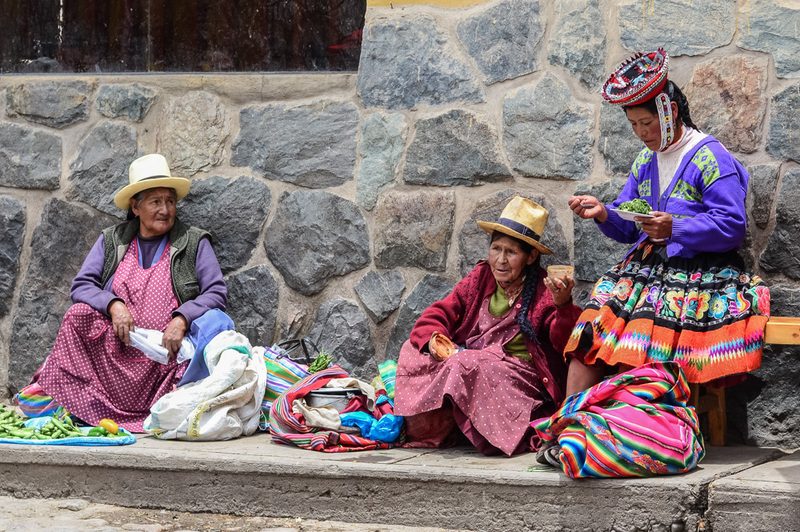 We continued to busy Ollantaytambo that connects Cusco with the jungle. 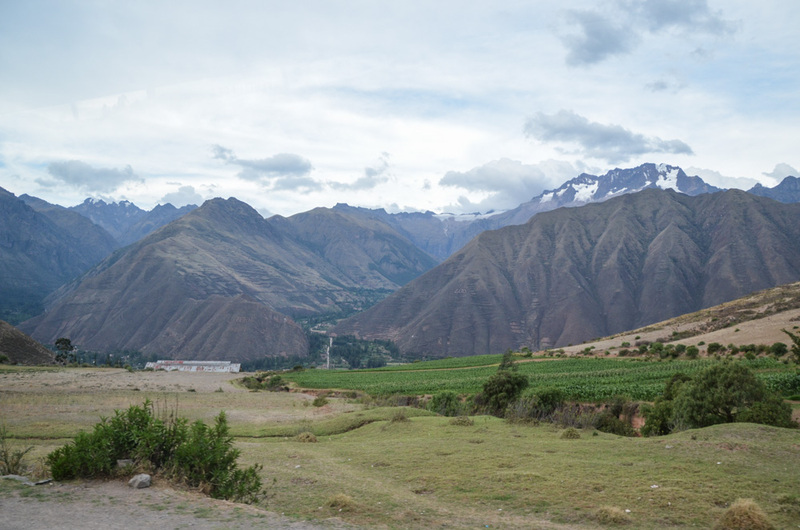 It is also a starting point for the trek to Machu Picchu and train to Aguas Calientes leaves from here too. 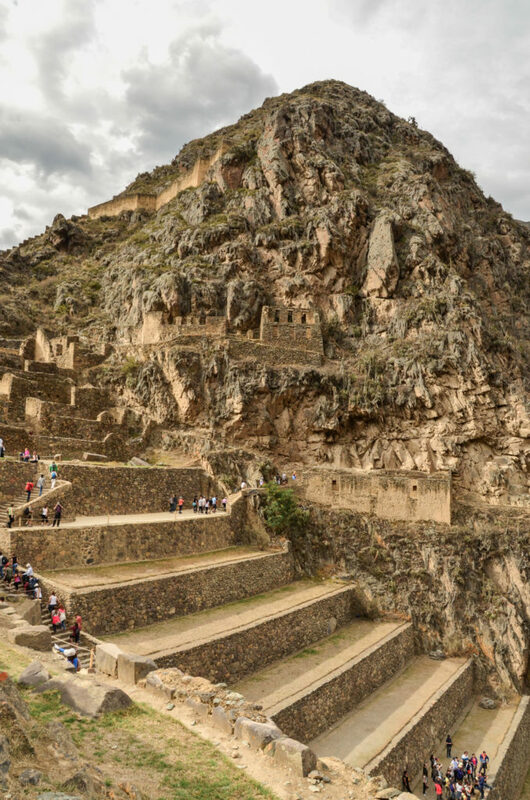 But the reason why we stopped here, is that Ollantaytambo has another spectacular Inca ruin. 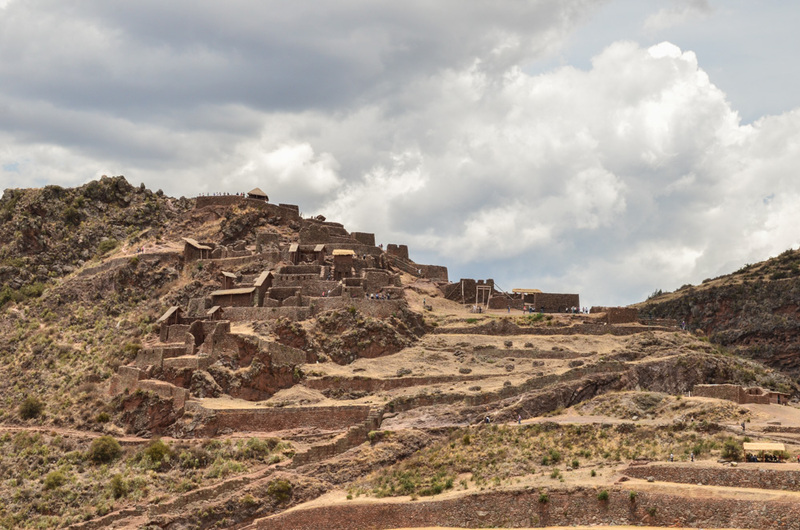 Initially built as a temple, these used to serve as a fortress where Inca Manco Yupanqui had stronghold during the Spanish invasion. 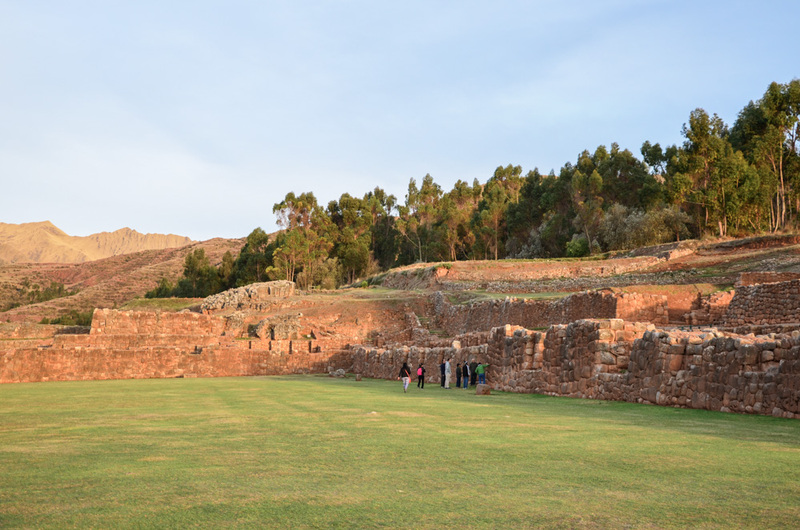 It was here where the main battle happened and the Spaniards were defeated. 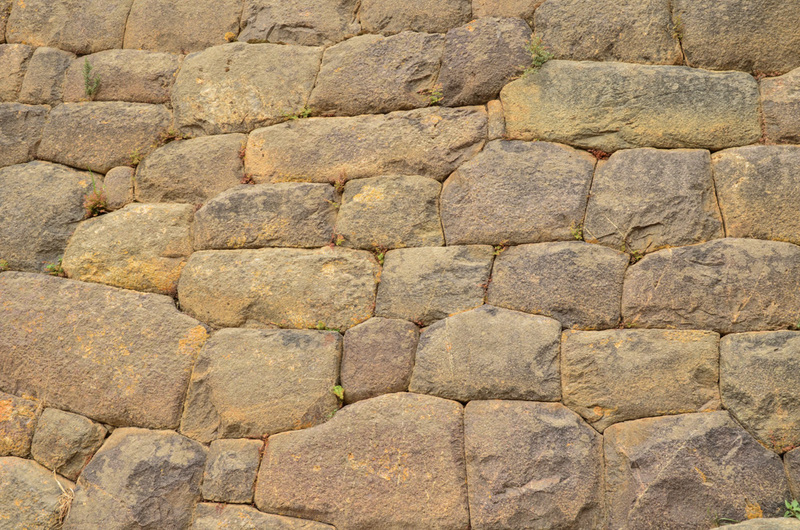 Nevertheless, they did not give up and came once more to conquer the town with Francisco Pizarro, but Manco was already retreated in Vilcabamba by that time (btw, the city that Hiram Bingham was looking for when he found Machu Picchu). 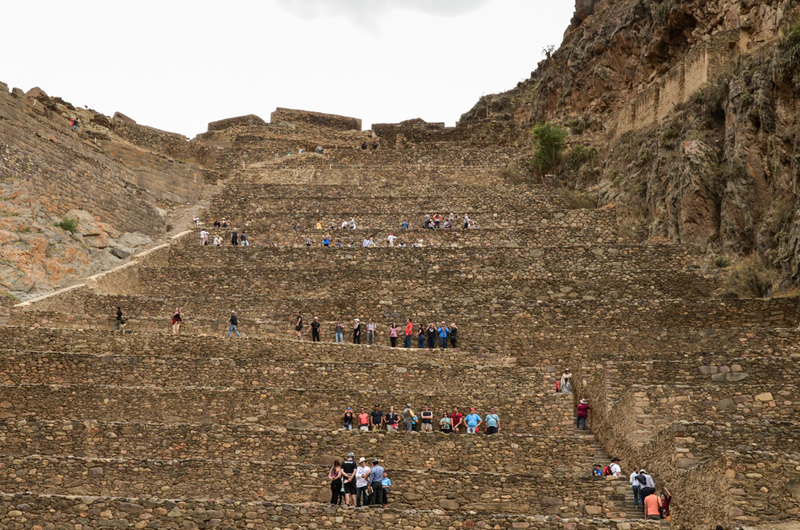 We climbed the Inca stairs alongside the tall terraces in order to get to the top of the fortress where the Temple of the Sun is located. 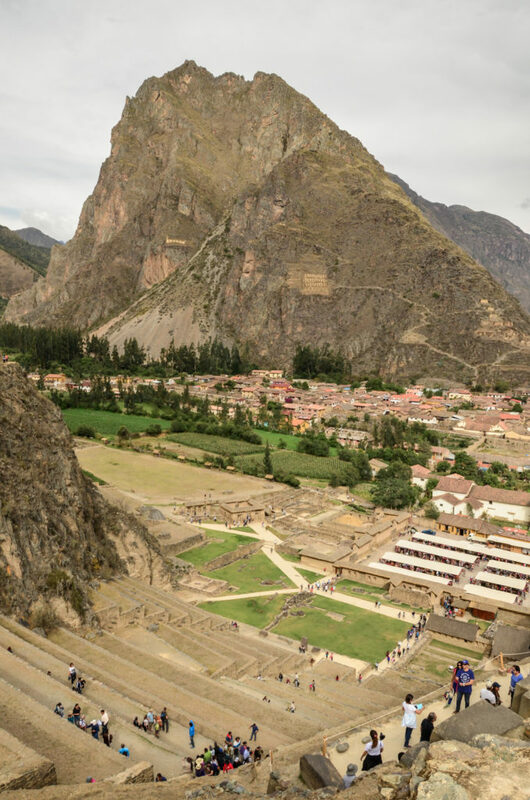 Apparently, the large monoliths forming the temple were somehow transported from another mountain in the Urubamba Valley and it is still difficult to understand how exactly this was done as they weight up to 50 tons each! 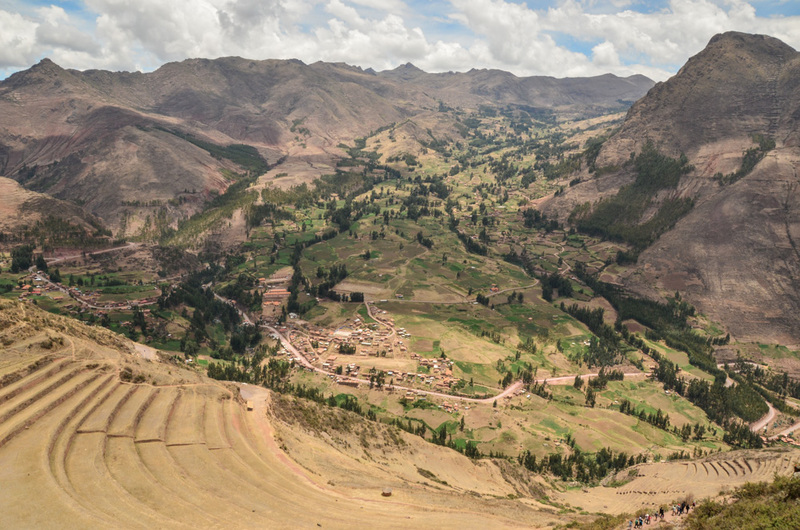 From the top, there was such a beautiful view of the town surrounded by the neighboring mountains, where we could also notice some small houses on the opposite hill – these were used to store agricultural goods for feeding the town. 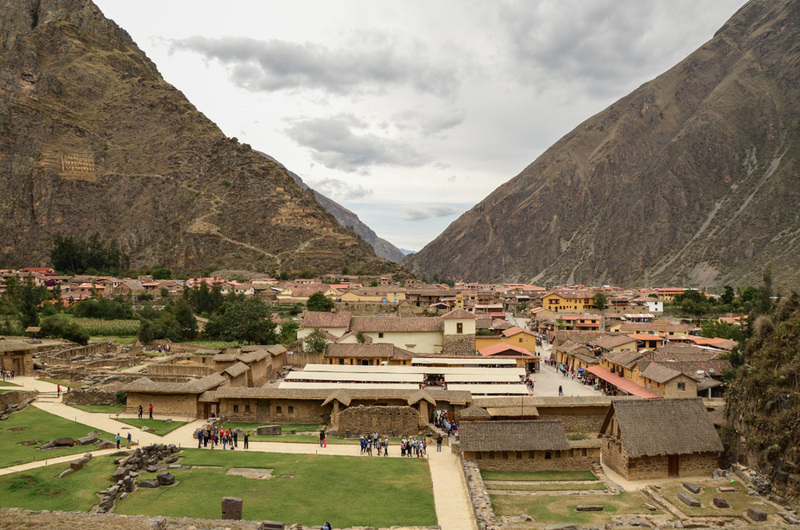 The last stop of our day trip to the Sacred Valley was Chinchinero, a serene place that is believed by the Incas to be a birthplace of the rainbow. The place lies quite high, and therefore we passed through mountains and saw some peaks covered with snow before arriving here. 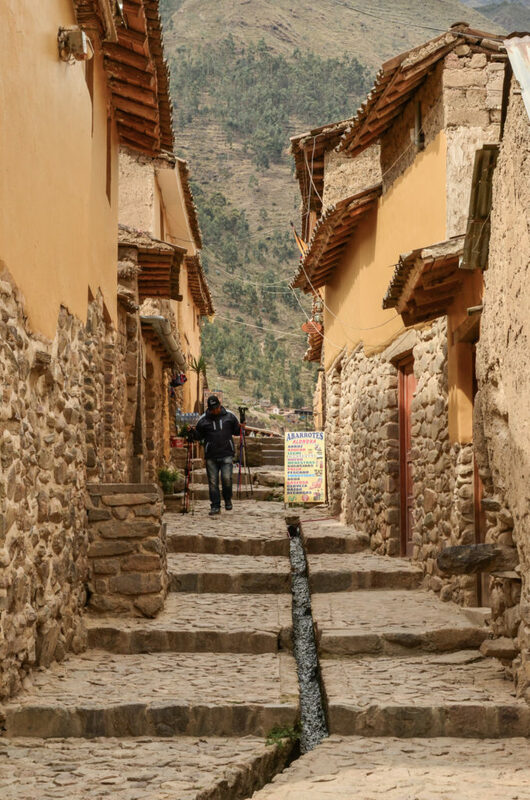 In order to get to the ruins as such, you still need to walk up from the village which is not so easy due to the high altitude. We were walking like old people, stopping every 2 minutes. 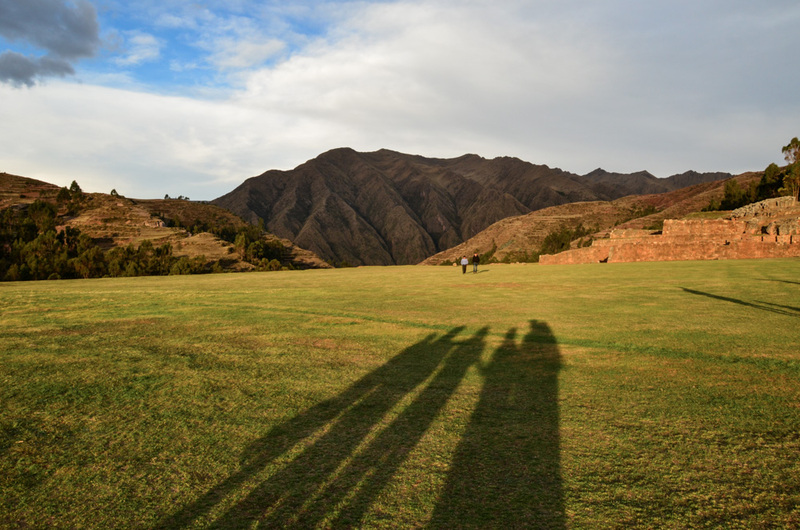 We arrived at the ruins when the sun was already going down and the view of the high plain and the surrounding mountains with this light was amazing. Such a beautiful and peaceful place, I could even feel a special energy here while sitting on the grass, looking at the surrounding hills covered with forest. I even wish I could have stayed longer here. 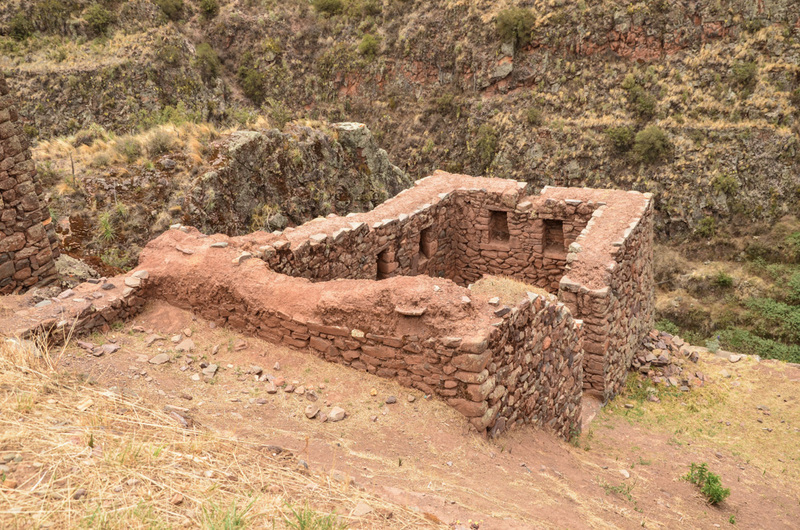 A few steps further, there is a colonial church built on Inca foundations. 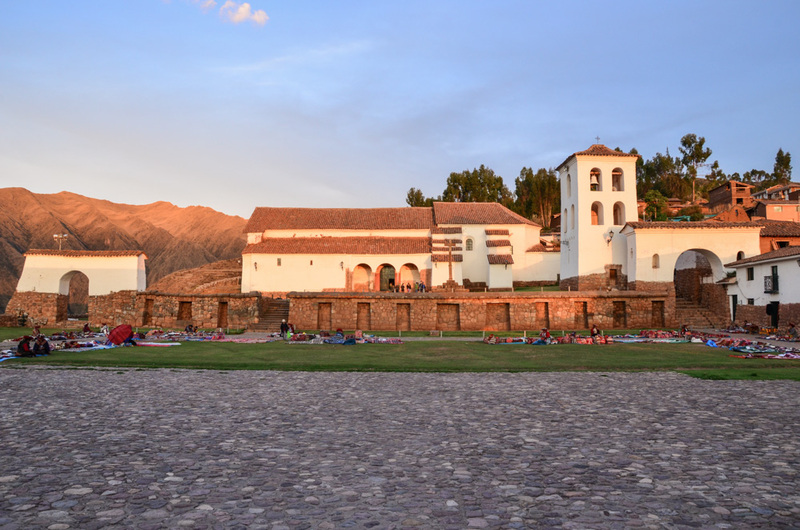 It is supposed to be one of the most beautiful churches in the whole Sacred Valley. The interior inside is very nice! 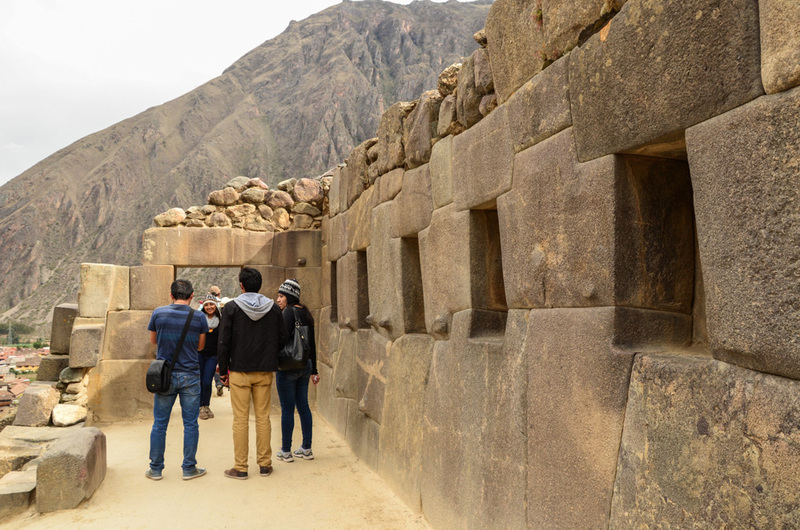 If you are interested in a trip to the Sacred Valley, beware that the entry to all these 4 places was included in boleto turistíco which is a ticket allowing you to enter several places in and around Cusco, valid for a couple of days. More information about boleto turístico here. 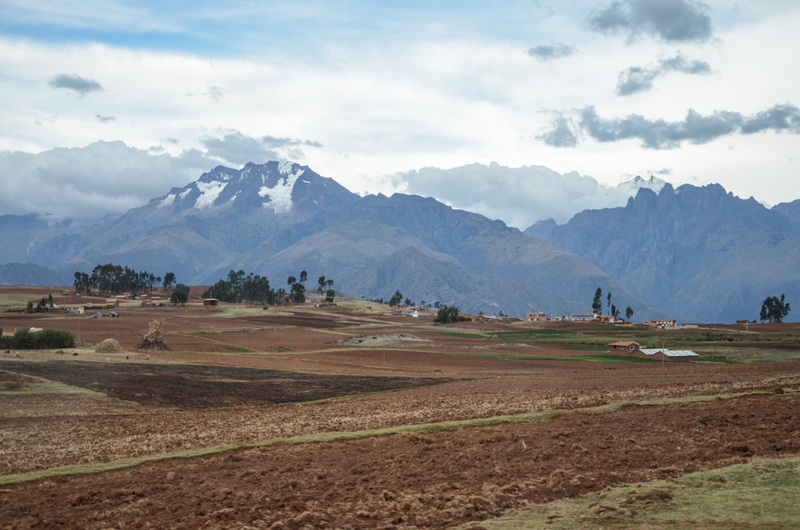 Have you been to the Sacred Valley? Have you visited also other places here? Or just planning to visit and have some questions? Let me know in the below comments! This looks amazing. I’d love to make this trip.